Welcome to Nairobi! 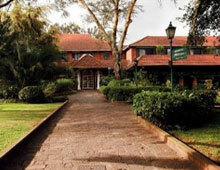 The largest city between Cairo and Johannesburg, Nairobi is a modern, cosmopolitan capital. Located 5,000 feet in the fertile highlands, it offers a delightful climate with warm days and cool nights. Our host hotel is the Norfolk Fairmont Hotel. 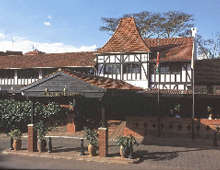 In the early “Out of Africa” days, this hotel was the stomping ground of hunters and adventure seekers and has been featured in numerous safari movies. Today, it offers wonderful rooms and amenities including a spa, pool, gym and room service. To help with your planning, we are offering five different options for hotel stretchers to accommodate 1, 2, and 3 pre-night arrivals, guaranteed early-check-in prior to 12 pm (on day of arrival) and 1 post-night stay. DEADLINE TO BOOK IS AUGUST 1, 2019 OR UNTIL SOLD OUT! 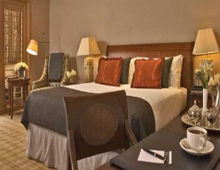 We have worked very closely with our host hotel to make the pricing as reasonable as possible for a DELUXE room at the Norfolk Fairmont with all the hotel taxes included, airport transfers, bellman tips and in all packages but early arrival, breakfast. In addition, you have the services of our local staff to help with any room issues that may arise, or to assist with anything you may need during your stay. This is being offered for your convenience. Let us do all the work for you! We provide group transfers with your arrivals on the day of the program start date, and with any of the pre or post options. Transfers are NOT included if you decide to book the hotel on your own for pre or post options.